Wesley Medical Centre, Suite 42, Level 4, Wesley Medical Centre, 40 Chasely St, Auchenflower. Hi, my name is Dr John Yaxley. I am a urologist, which means I deal with problems in the urinary system. Specifically, I sub-specialise to treat prostate and bladder cancer. I am a qualified and experienced surgeon, having performed thousands of urological surgical procedures. In my sub-speciality area of prostate cancer I have performed over 2000 radical prostatectomy surgery procedures. Since 2010, I have used robotic surgery almost exclusively for this procedure. I was one of the first surgeons in Queensland to use the robotic surgery techniques for prostate removal. 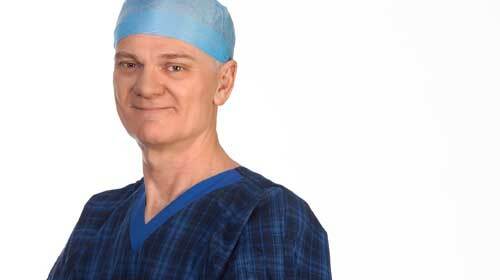 I am also one of Australia’s most experienced urological surgeons performing brachytherapy procedures for prostate cancer, having performed over 1000 brachytherapy procedures. I obtained my medical degree from the University of Queensland in 1986 and after my initial hospital internships, I began specialisation in urology and urological surgery. I achieved fellowship of the Royal Australasian College of Surgeons in 1995. I subsequently obtained post fellowship specialist training in the Bristol Urology Institute (UK) in 1996-97. Since returning to Brisbane I have sub-specialised in the surgical management of prostate and bladder cancer. I have a strong academic interest and have published over 40 papers and abstracts in medical journals. I am involved in the academic teaching program of students at Wesley Hospital and Royal Brisbane Woman’s Hospital and also am a surgical supervisor for urology training registrars at the Royal Brisbane & Women’s Hospital. I am also one of the key investigators in the open vs robot radical prostatectomy trial which has completed enrollment at the Royal Brisbane Women’s Hospital in October 2014. I am married with three wonderful children. My eldest daughter has already graduated from medical school and my son is in his final year of medical studies. My youngest daughter aspires to the bright lights of Broadway and is pursuing a career in musical theatre. I enjoy athletics, rugby, watching netball and just about any sport on TV.